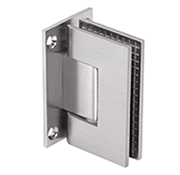 Designed to add an element of safety on a shower enclosure area includes cover flanges and conceal mounting hardware included. 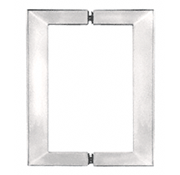 Designed for glass 1/4″ to 3/4″ thick no glass fabrication required holds shelves up to 10″ deep, screw included for fastening to wall or tile. 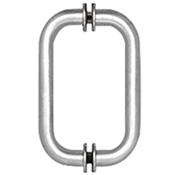 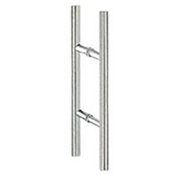 Designed for 3/8″ and 1/2″ glass heavy wall tubular brass/ stainless steal construction available in 6″ and 8″. 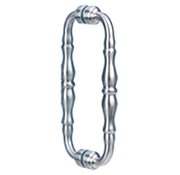 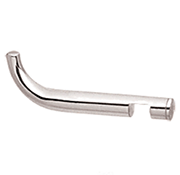 Designed for 3/8″ and 1/2″ glass heavy wall tubular brass/ stainless steal construction available in 8″ and 10″. 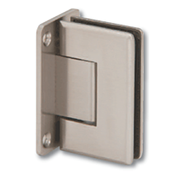 Beveled edge solid forged brass construction wall mounted hinges self centering to zero degrees designed for 3/8″ glass holds up to 80 lbs using two hinges and a maximum door width of 30″. 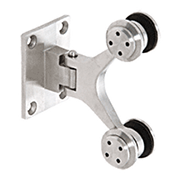 Solid forged brass construction wall mounted hinges self centering to zero degrees designed for 3/8″ glass holds up to 80 lbs using two hinges and a maximum door width of 30″. 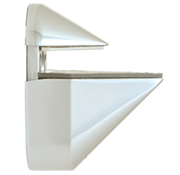 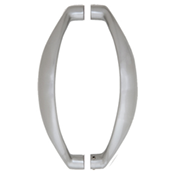 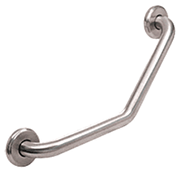 Towel hook designed to be position anywhere desired along the top of the shower glass door with no hole on glass required designed for 3/8″ glass. 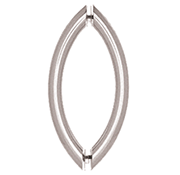 Great look with a new design to give the frameless shower door a modern feel unique design constructed of durable 316 stainless steal.Designed for 3/8″ glass holds up to 80 lbs using two hinges and a maximum door width of 30″.